Make sure you’re in the front row – sign up now for London 2012 ticketing news and information. Tickets for the London 2012 Olympic Games will go on sale on 15 March 2011, for a six-week application window until 26 April 2011. Tickets for the Paralympic Games will go on sale on 9 September 2011. A total of 8.8 million tickets will be available for the Olympic Games, with another two million for the Paralympic Games. Subject to availability, tickets will remain on sale until the start of every event. We aim to give as many people as possible the chance to attend the Games, ensuring a great atmosphere for all the events. Each ticket will include free travel on public transport in London for the day of the event, to encourage spectators to use the transport system and take in the festivities throughout the city. There will also be free events, including Road Cycling, Triathlon and the Marathon. These events will take place on the streets of London, where spectators can line the route to cheer on the athletes. Big screens at Live Sites across the UK will also screen the sporting action. Have you been offered unauthorised tickets? Don’t be fooled by bogus websites and organisations claiming to sell tickets to the Games. Tickets will only be available via official London 2012 sales channels from 2011. You will not be asked to make a payment or sign a contract until then. Wanted to claryfy that we have not misspelt our tour company name. HisTOURies comes from two words ‘history’ and ‘stories’ – clever eh? We operate guided historical (hisTOURical) sightseeing tours of Britain. Our expert guides (historians or hisTOURians) bring Britain’s rich history (hisTOURy) alive with tales’s and stoiries (sTOURys or sTOURies) of ancient England. Hope thats clear (clear as mud)…………….. The Histories of Herodotus is considered one of the seminal works of history in Western literature. Written from the 450s to the 420s BC in the Ionic dialect of classical Greek, The Histories serves as a record of the ancient traditions, politics, geography, and clashes of various cultures that were known around the Mediterranean and Western Asia at that time. It is not an impartial record but it remains one of the West’s most important sources regarding these affairs. Moreover, it established without precedent the genre and study of history in the Western world, although historical records and chronicles existed beforehand. Perhaps most importantly, it stands as one of the first, and surviving, accounts of the rise of the Persian Empire, the events of, and causes for, the Greco-Persian Wars between the Achaemenid Empire and the Greek city-states in the 5th century BC. Herodotus portrays the conflict as one between the forces of slavery (the Persians) on the one hand, and freedom (the Athenians and the confederacy of Greek city-states which united against the invaders) on the other. The Histories was at some point through the ages divided into the nine books of modern editions, conventionally named after the Muses. Mid-winter festivals were observed in Britain long before Christianity reached our shores. In ancient Britain, the Winter Solstice (near December 22) was seen as a turning point in the cold dark months. Rituals were held to encourage the return of the sun and banish evil spirits believed to lurk in the bleakest days. On the last day of winter, called Yule, a huge log was added to a bonfire and people gathered round to summon the sun by singing and dancing. Houses were decorated with green plants, particularly mistletoe and holly, as a symbol of fertility and rebirth the new season would bring. Saturnalia, a very popular Roman festival, was held in mid-December. It was celebrated in countries across the Empire, including Britain which was occupied by the Romans from 43 to the early part of the fifth century. The week long party was held in honour of the Roman God Saturn. Revellers enjoyed feasting, visiting family and sharing gifts. The festival offered temporary social freedom for slaves who were excused from work and allowed privileges, such as the right to gamble. In 596, St. Augustine undertook a mission to bring Christianity to the Anglo Saxons. He and his monks introduced the Christian calendar to Britain, including the Christmas date. The Christian church decreed Christ’s birthday be celebrated on December 25, a decision made by the Pope in 336. As Christianity spread across Britain, pagan celebrations were mainly engulfed by or assimilated in to Christmas ritual. Varied Christmas activities were adopted across Britain. In England, people ate frumenty (a type of porridge made from corn) on Christmas morning. The recipe changed over time and eggs, fruit, spice, lumps of meat and dried plums were added. The whole mixture was wrapped in a cloth and boiled. This is the origin of plum pudding. Christmas festivities in Ireland last from Christmas Eve to the feast of the Epiphany on 6th January, which is referred to as Little Christmas. Many Irish women bake a seed cake for each person in the house. It is also Irish tradition to bake three puddings, one for each key day of the Epiphany – Christmas, New Year’s Day and the Twelfth Night. In Scotland, Christmas has traditionally been celebrated very quietly because the Presbyterian Church places no great emphasis on the date. The season is however enjoyed by many Scots. A popular Scottish festive party involved the building of big bonfires which people could gather round for warmth, dancing and to play bagpipes. A time-honoured Scottish Christmas treat is Bannock cakes made of oatmeal. In Wales, music was vital to the festive celebrations. Christmas morning between 3am and dawn men gathered at churches to sing carols until the cockerel crowed. This was called Plygrain. Taffy making on Christmas Eve was one of the most important festive traditions of the Welsh. Taffy is a special kind of chewy toffee made from brown sugar and butter. It is boiled and then pulled until it becomes lovely and glossy. Britain today is home to many different cultures and mid-winter is, as it always has been, a time for diverse cultural celebration. Thankyou for all your Christmas wishes. Have a wonderful Christmas from all the Histouries UK team. Why is England a good place to visit at Christmas time? Christmas is Britain’s most popular holiday and is characterised by traditions that date back hundreds of years. Many Christmas customs that originated in Britain have been adopted in the United States. There is nothing more magical than wandering through a British garden on a crisp, clear winter day: the sun, low in the sky, sparkling on elegant branches; the satisfying crunch of early morning frost underfoot; the delicate scent of winter-flowering shrubs. Holly berries bring a splash of colour to the festive season. Shortly after New Year, snowdrops poke their heads through the earth. Hints of spring arrive in late February as buds begin to appear on trees and the petals of early daffodils unfold. 1: (Pantomines) In the UK, the word ‘Pantomine’ means a form of entertainment, generally performed during the Christmas season. Most cities throughout UK have a form of pantomine at this time of year. The origins of British pantomine, or ‘Panto’ as they are know as today, date back to the middle ages. Panto is generally aimed at children however adults from all ages thoughly enjoy this show. Pantos are based on childrens fairy tales and legends (Aladdin, Cinderalla, Jack and the Bean Stalk). It is traditional for the audience to join in with the panto – cheering the hero or heroine and hissing at the villains. Many phrases to be learnt before seeing a panto are “He’s behind you!” and “Oh yes he is!”, although this may seem strange to be reading all will become clear when watching a British pantomine. (Cracker) The pulling of Christmas crackers often accompanies food on Christmas Day. Invented by a London baker in 1846, a cracker is a brightly coloured paper tube, twisted at both ends, which contains a party hat, riddle and toy or other trinket. When it is pulled by two people it gives out a crack as its contents are dispersed. (Dinner) Christmas Day sees the opening of presents and many families attend Christmas services at church. Christmas dinner consists traditionally of a roast turkey, goose or chicken with stuffing and roast potatoes. This is followed by mince pies and Christmas pudding flaming with brandy, which might contain coins or lucky charms for children. (The pudding is usually prepared weeks beforehand and is customarily stirred by each member of the family as a wish is made.) Later in the day, a Christmas cake may be served – a rich baked fruit cake with marzipan, icing and sugar frosting. (Decorations) Christmas decorations in general have early origins. Holly, ivy and mistletoe are associated with rituals going back beyond the Dark Ages. (The custom of kissing beneath a sprig of mistletoe is derived from an ancient pagan tradition.) The Christmas tree was popularised by Prince Albert, husband of Queen Victoria, who introduced one to the Royal Household in 1840. Since 1947, the country of Norway has presented Britain annually with a large Christmas tree which stands in Trafalgar Square in commemoration of Anglo-Norwegian cooperation during the Second World War. (Mistletoe) Mistletoe, considered sacred by the British Druids, was believed to have many miraculous powers. Among the Romans, it was symbol of peace, and, it was said that when enemies met under it, they discarded their arms and declared a truce. From this comes our custom of kissing under the mistletoe. England was the first country to use it during the Christmas season. 2. 2. (Father Christmas) The English gift giver is called Father Christmas. He wears a long red or green robe, and leaves presents in stockings on Christmas Eve. However, the gifts are not usually opened until the following afternoon. Father Christmas delivers them during the night before Christmas. The Children leave an empty stocking or pillowcase hanging at the end of the bed. In the morning they hope it will be full of presents. 3. (Queens Speech) Another traditional feature of Christmas afternoon is the Queen’s Christmas Message to the nation, broadcast on radio and television. This normally occurs in the mid afternoon after most people have eaten their Christmas Dinner. The Queen summaries the events of the year past and looks to the future. 4. (Boxing Day) Christmas day is followed by Boxing day (26th December). which takes its name from a former custom of giving a Christmas Box – a gift of money or food inside a box – to the deliverymen and trades people who called regularly during the year. This tradition survives in the custom of tipping the milkman, postman, dustmen and other callers of good service at Christmas time normally on the run up to Christmas. A Christmas Market Christmas Markets are loved by everyone – the little wooden chalets selling all sorts of goodies and the magical atmosphere created by special Christmas fragrances of pine branches and incense and of course the hot mulled wine to keep you warm! The stalls filled with wooden smoking men, Christmas pyramids, music boxes, straw stars, angels and all manner of wooden decorations. Then you have the stalls with the lebkuchen, stollen and fresh sugared almonds – tempting you with Christmas aromas. Friends and family meet up to enjoy the day together and everyone gets absorbed in the excitement of Christmas. 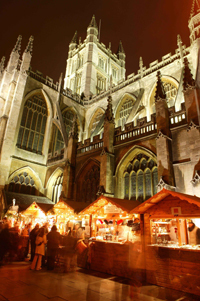 Bath Christmas Market – A very traditional style English Christmas Market will be runnning every day from December 2nd – 11th selling a a wide variety of original hand crafted gifts, decorations, cards and toys. With the famous Bath Abbey and Roman Baths providing an amazing backdrop to this event, you will know that the festive season has really arrived in Bath. You will have plenty of time on tour for some Christmas shopping! Windsor Christmas Market – A traditional German market which will be running throughout December. There will be individual wooden chalets each offering a variety of hand-made goods or sumptuous fare! Perfect for Christmas shopping! More historical Chrismas facts coming soon. Can we trust tour reviews on TripAdvisor? If websites like TripAdvisor are riddled with fake reviews, where will the traveller go for authentic advice ? A report by the travel website, Travolution, this month, confirmed my suspicions that tour operators are being approached by companies promising to post positive reviews on websites in return for monthly fees or discounts on their services. The report claims that such companies can avoid the protection measures that websites have put in place, by posting the reviews from different locations around the world. The report even claimed that one tour company had received a number of reviews before it had even started operating tours. To be fair to TripAdvisor it has already begun imposing disclaimers. It admits that it is aware of several companies offering paid-for positive reviews and claims that they have been penalised appropriately. But I fear that if it was possible to unearth all the fake reviews, there might not be enough red pen to go around. Like drug users in sport, the people committing the offences are nearly always one step ahead of those trying to catch them. Several travel companies have embraced these user-generated websites, employing staff to contact clients after they have completed their tour (to right any wrongs and encourage positive feedback). The bigger operators and some smaller ones (you know who you are) send out emails encouraging clients to post reviews; tourist boards, such as VisitScotland and VisitLondon, include TripAdvisor ratings on their websites. TripAdvisor has taken steps to counter fake reviews. Last year disclaimers began appearing when reviews came under suspicion of being fake. The company said that it uses specialist software and algorithms to screen reviews and has a team of moderators to investigate suspicious postings. Users are aware that little tricks – adding an element of critique to a glowing review, saying something positive before you slate a particular tour, using different email addresses and computers, reviewing other operators to establish a track record – can help them get around the detectors. Many UK tour operators are very active with this technique. There are even websites to help you circumvent the rules. “Writing fake reviews is a great option for almost any business,” said Bob McClain of Wordsmithbob.com, a site that offers a masterclass in the craft. Fortunatly we have only great reviews on tripadvsor (not sure after this article is published though?) However if I could easily manipulate tripadvisor reviews anyone could – you have been warned! Do more research, use your common sense and do not rely on Tripadvisor – dont believe everthing you read, good or Bad! 2019 Stonehenge inner circle guided tours from Bath or Salisbury. A ‘once in a lifetime’ experience! 2019 Stonehenge Opening Hours, Entry Prices and Tickets. Megalith tells stones’ secrets. New book focusses on the Wiltshire stone circles. Stonehenge builders may have transported megaliths down ‘stone highway’ from Wales. Has the secret of Stonehenge been solved? 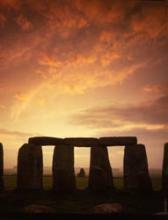 Stonehenge inner circle guided tours from Bath. Book your 2018 Private access visit in advance. A magical experience!